Attractive, ultra light, and durable insulated top-load food carriers for transporting and delivering hot and cold food pans, containers, plated meals, or virtually anything else. 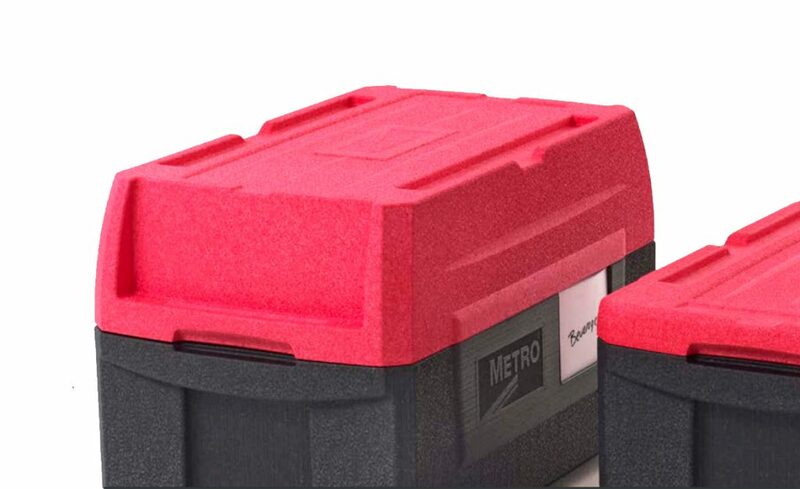 Durable: advanced polymer foam construction with high strength-to-weight ratio withstands impact without damage, making it perfect for lifting and withstanding the rigors of off-site food transport! Ergonomic: ultra light with 4 convenient handles, facilitates lifting, carrying, and moving in any situation. Grab the optional carrying strap for one-handed or two-person carrying. Keeps food safe for 5+ hours! 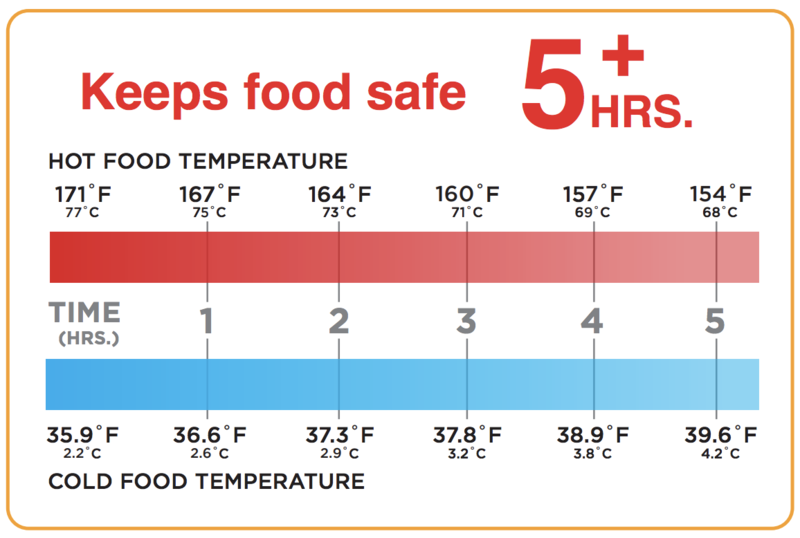 Transport hot or cold food at safe, appetizing temperatures with confidence. Snap seal lid: Flexible, integrated seal snaps shut to help retain temperature. Never worry about replacing or cleaning hinges, latches, or gaskets again! Label holder: two convenient pockets accept a 5.5″ x 4.25″ (140 x 108mm) folded piece of paper to make identifying carrier contents and destination easier. Stackable: carriers are designed to interlock with each other, Mightylite front-load carriers, and optional dolly for more efficient transportation and storage. Generous hand recesses: for easy loading and unloading of food pans. Also increases storage area to fit more containers. Recyclable: 100% recyclable, CFC free. BigBoy lid: ML180XL with innovative BigBoy multi-functional lid provides 63% more storage, clearance to store taller items, and doubles as a server.